Turkish contractors undertook overseas projects worth around $19.4 billion last year, a 28.2 percent increase year-on-year. Having seen a significant increase in overseas projects last year, Turkish contractors carried out 46 percent of these undertakings in the Eurasia region. 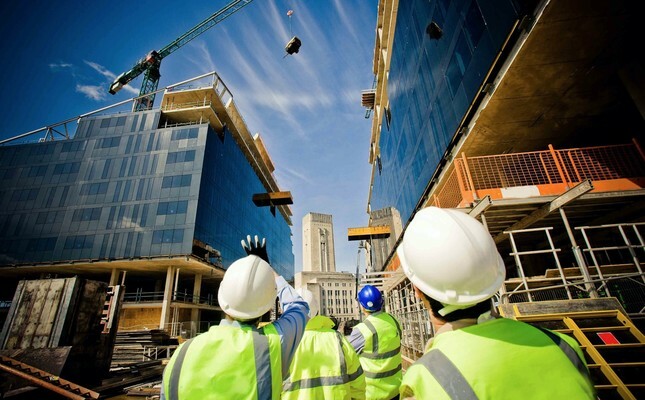 Despite the geopolitical risks and trade wars, overseas contracting projects carried out by the Turkish contractors reached $19.4 billion last year, corresponding to an increase of 28.2 percent year-on-year, Turkish Contractors Association (TMB) Chairman Mithat Yenigün said yesterday. Elaborating on the distribution of the projects by the region, Yenigün said Eurasia accounted for 46 percent of the business volume in 2018, followed by the Middle East with 26 percent, Africa with 18 percent, Europe with 6 percent, South Asia and the Far East with 3.2 percent, and the American countries with 0.6 percent, adding the top markets preferred by the sector last year were Russia with $3.9 billion, Saudi Arabia with $3 billion, and Qatar with $2 billion. Turkish contracting companies undertook some 261 overseas projects last year. Since the day they opened abroad in Libya in 1972, contracting firms have reached a size of $378.9 billion abroad, Trade Minister Ruhsar Pekcan said recently. The sector has undertaken close to 9,600 projects in 123 different countries. The projects undertaken since 2002 amounted to $329.1 billion in total. TMB Chairman Yenigün remarked the relationship between Turkey and Russia returned to normal after the jet-downing crisis in November 2015 with Russia, the most important market of the sector. "Last year, Russia resumed its position as the market leader in our overseas contracting services. In the current distribution, the market share of Russia reached 25 percent as prior to the jet-downing crisis," he said. Yenigün also pointed to the importance of the Polish market, which came fifth as an EU state with $1.5 billion, noting an investment of about $480 million was made in Romania that ranked ninth in this scope. Pointing out that large scale and important projects are realized by Turkish companies in Europe, which has a share of 6 percent in overseas contracting services, Yenigün stated other countries in the top 10 markets include Sudan and Algeria, Kazakhstan, Turkmenistan and Kuwait. Yenigün, who gave several examples to the important projects undertaken by Turkish companies abroad last year, said $1.6 billion Amur Gas Processing Plant (GPP) and new passenger terminal buildings in Khabarovsk and Chelyabinsk airports in Russia are among the notable projects, followed the Construction and Operation Project of Big Almaty Ring Road (BAKAD) and Tengiz Oil and Gas Processing Plant and its auxiliary facilities in Kazakhstan with $1.3 billion, and Sudan Khartoum Airport Project with $1.1 billion. Yenigün also gave information on the projects launched in the European market in 2018 or earlier years, highlighting the $1.1 billion Blankenburg access road and Schiphol Airport's additional terminal building in the Netherlands, as well as the $480 billion road construction work linking the A1-A2 motorways in Bucharest, Romania. Meanwhile, Turkey was named second only to China in the number of contractors in the Top 250 Global Contractors List for 2017, prepared by the Engineering News Record (ENR). ENR, an international construction industry magazine, prepares the list based on the companies' income through overseas activities. A total of 46 Turkish companies were named in the 2017 list. While the market share of Turkish companies stood at 3.8 percent in 2013, it reached 4.3 percent, 4.6 percent and 5.5 percent in 2014, 2015 and 2016, respectively. It was at 4.8 percent 2017. Commenting on the sector's targets, the TMB chairman underlined the overseas contracting market, which currently stands at $470 billion to 500 billion, is expected to reach $700 billion in the 2030s. Yenigün further said the Turkish contractors' 2023 target is to reach $30 billion to $35 billion in overseas projects per year. "In the 2030s, we aim to increase our share of the overseas market to 7 percent, meaning $50 billion per year," he added. He shared his views on the possible effects of the developments in the global economy on the sector, saying in an environment where the liquidity in the market has decreased with the normalization steps of the central banks of developed countries, an agenda with many obscurities such as rising indebtedness in the world, negative signals regarding growth, concerns about trade wars and unpredictable mobility in oil prices have been moved to 2019. "In the coming period, the leading factors that will affect the overseas construction market are the course of the energy prices and the investment environment and financing conditions in the markets where the references of our contracting companies are strong, such as Saudi Arabia and Algeria," Yenigün continued. Suggesting that Russia and Iraq markets will maintain their importance for the sector, he said especially the project amount can approach $5-6 billion per year in Russia, as in previous years. After overcoming security problems, a significant business volume will be formed in Baghdad and its environs along with Iraq, particularly Basra, Yenigün said, highlighting that the development will allow Iraq to pay its accumulated debts to Turkish contracting firms and complete the existing projects in the meantime.